The KCB Safari Rally has been postponed at the request of the Club which had won the bid. The 64th edition of the KCB Safari Rally 2016 initially programmed for the Easter weekend has been postponed over unknown logistical challenges. A statement from the Kenya Motor Sports Federation (KMSF ) stated that the Club which had won the bid to organise the event from March 25-27 requested to change the dates after failing to meet the set deadlines. Safari was to be organized by the Kenya Motor Sports Club (KMSC) which is one of the 12 affiliate clubs of KMSF. The Jim Kahumbura led KMSC who organized the opening round of the 2016 Kenya National Rally Championship in Kajiado County on February 27 won the bid to organise the 2016 Safari Rally after successfully out-bidding one other affiliate in a new tendering process Introduced to enhance transparency and accountability. The KMSF secretariat said it intends to run this year's Safari a lot more professionally and in closed private ranch roads as part of their longterm safety plan designed to deviate from hustle and bustle of public road racing . Over and above safety of crews and spectators, KMSF is on the verge of bringing in a state of the art TAG Huer timing system that's used in World Rally Championship. This is part of the technical support Liquid Telecom is extending to the rally -sport as Kenya plots to woe WRC top brass to reconsider Kenya as a racing destination. Safari was previously a round of the WRC from 1973 up till 2002 but was dropped from the FIA calendar when Kenyan organisers failed to meet the set technical requirements the World Governing body had demanded action on including safety and payment of calendar fees. 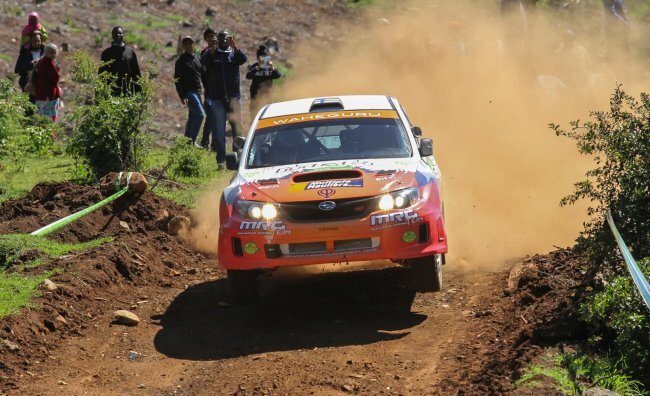 The event was relegated to FIA African Rally Championship (ARC) status from 2003 to 2014. Last year, the Safari was held as a non FIA ARC event and won by Kisumu based Jassi Chatthe who went on to chalk up the coveted ARC.